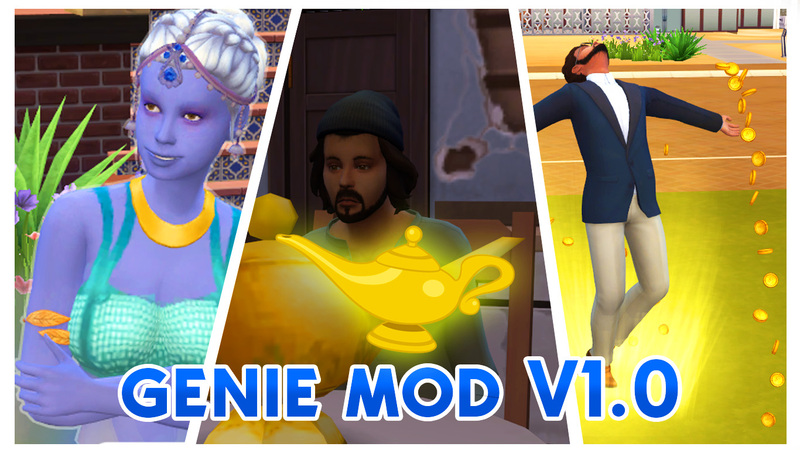 After a lot of time composed by sweat, tears, and rage, here's the genie mod! - Put it in your inventory: It shouldn't be difficult for your sim to carry such a little lamp. - Inspect the lamp: Your sim will wonder what could be the mistery inside this lamp... Or it will probably comment about it's cleaniness... Once your sim has finished inspecting it, they will no longer be able do that. 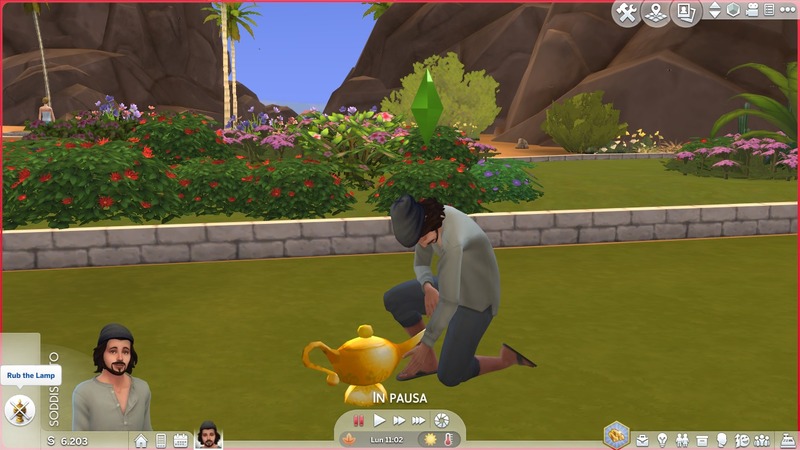 - Rub the lamp: Your sim will kneel before the lamp, and will give it a lil'rub. Once they've finished the interaction, congratulations! You will finally have your genie! The genie will stay on your lot for about 5 hours. Don't worry if she leaves, just rub the lamp again and before you know it, she will be back. It's necessary to put the lamp on the floor to do this interaction, otherwise the animation will look weird. 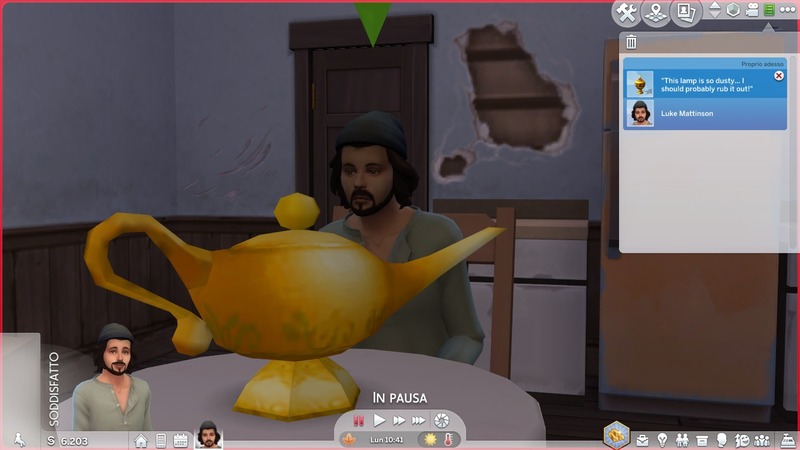 After you have summoned the genie, you will become her master and nobody else will be able to rub the lamp or ask for a wish to be granted other than the sim who rubbed the lamp. 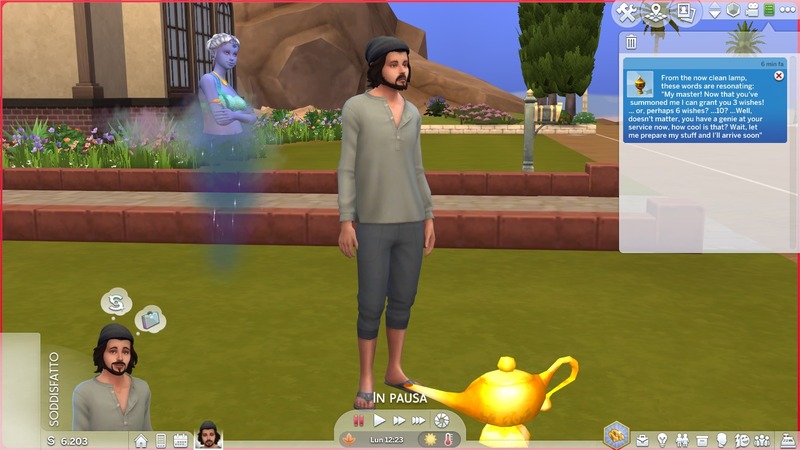 After your sim has finished the wishes, and the genie has finished her time on the lot, you won't be able to rub the lamp (neither if you buy another lamp) for about 2 days. If you want to spawn a genie before the cooldown ends, you'll have to choose another sim to rub the lamp. Positive Outcome: Your sim will have the "Happiness!" (+10 happy) buff which will last for 1 day. 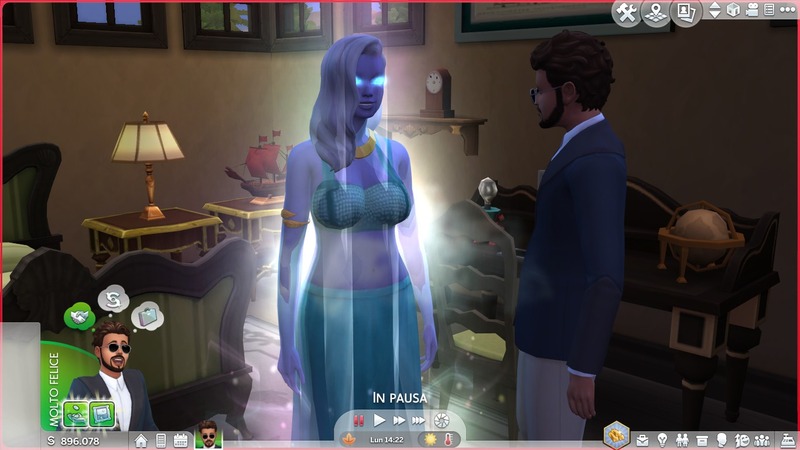 This buff may result in a backlash, making your sim die whenever it feels playful! Negative Outcome: Your sim will have the "Why can't I be happy?!" (+10 sad) buff which will will last for 1 day. Once this wish has been granted, you'll have to wait in order to wish for it again. Positive Outcome: Your sim will have the "Simoleons, Simoleons, SIMOLEONS!" (+8 happy) buff, and it will receive between 80K and 100K simoleons! 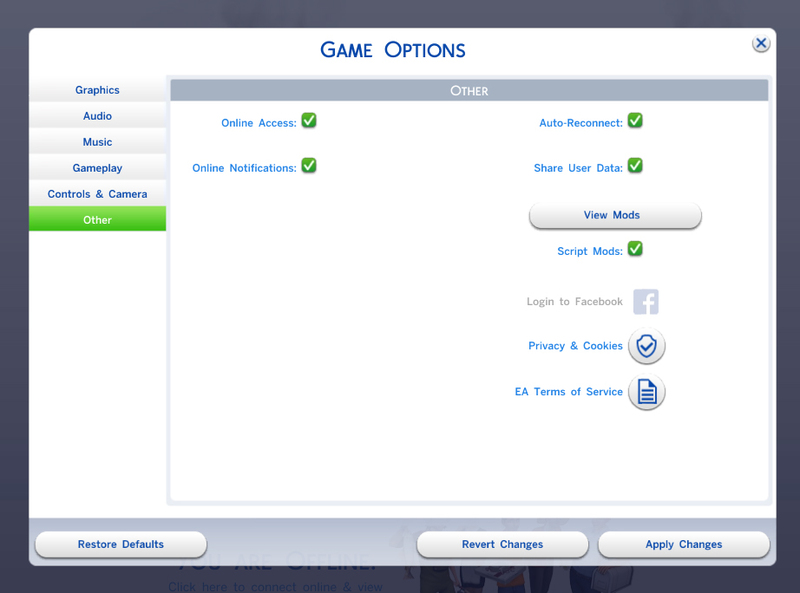 Negative Outcome: Your sim will have the "Where are my simoleons?!?" (+8 uncomfortable) buff, and it will lose 100K simoleons. Once this wish has been granted, you'll have to wait, in order to wish for it again. Unique Outcome: Your sim will receive the "Peace and love!" (+8 happy) buff which lasts 6 days. The buff will be spread to every sim in and outside the lot and, If you make your sim travel, every sim near and far the community lot will receive this buff. The sims who have this buff will walk happily and will have more success in friendly interactions. Once your sim's buff expires, they will not spread the buff again. 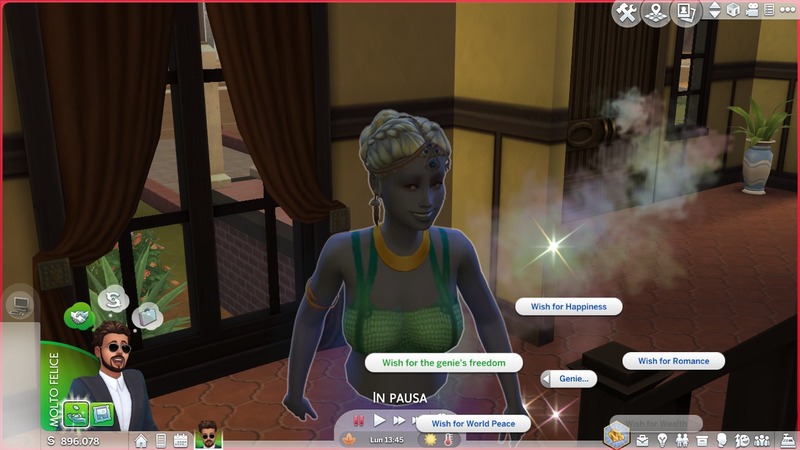 Unique Outcome: Your sim will receive the "Misery and Discomfort!" (+8 energized) buff which lasts 6 days. The buff will be spread to every sim in and outside the lot and, If you make your sim travel, every sim near and far the community lot will receive this buff. 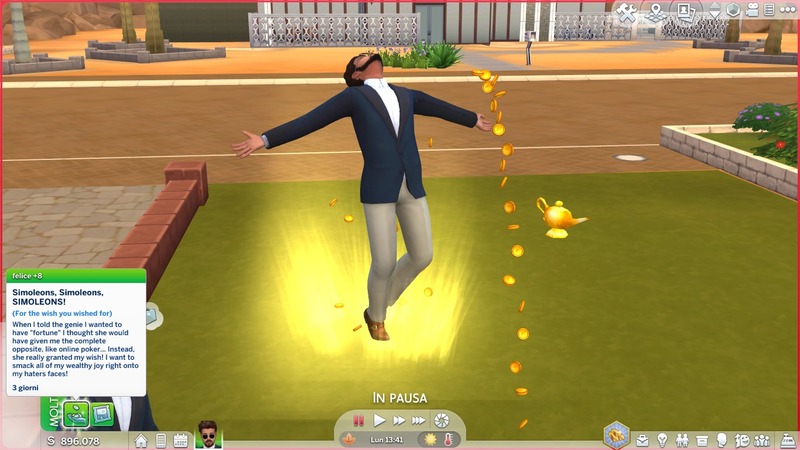 The sims who receive the buff through your sim will be angry instead of energized and they'll have less success in friendly interactions. Once your sim's buff expires, they will not spread the buff again. Positive Outcome: Your sim will have the "Cupid's Arrow" (+10 flirty) buff which will last for 1 day. With this buff, your sim will have more success with romantic interactions. Negative Outcome: Your sim will have the "Is Cupid blind?" (+10 tense) buff which will will last for 1 day. With this buff, your sim will have less success with romantic interactions. Positive Outcome: Your sim will return to the previous life stage and have the "Smooth skin!" (+10 confident) buff which will last for 1 day. Negative Outcome: Your sim will advance to the next life stage and have the "Wrinkles! Wrinkles everywhere!" (+10 uncomfortable) buff which will last for 1 day. Unique Outcome: The genie will be free from the lamp's imprisonment and will no longer grant wishes. She will re-gain her lower body part and, after some time, they will change their look casually. She will not become part of the family automatically, It's up to you to decide whether she becomes part of your family or not. You can summon various types of food, like Grilled cheese, Salmon, Lobster Themidor, etc. The quality of the food depends on their mood. So I highly suggest that you to keep your genie happy. 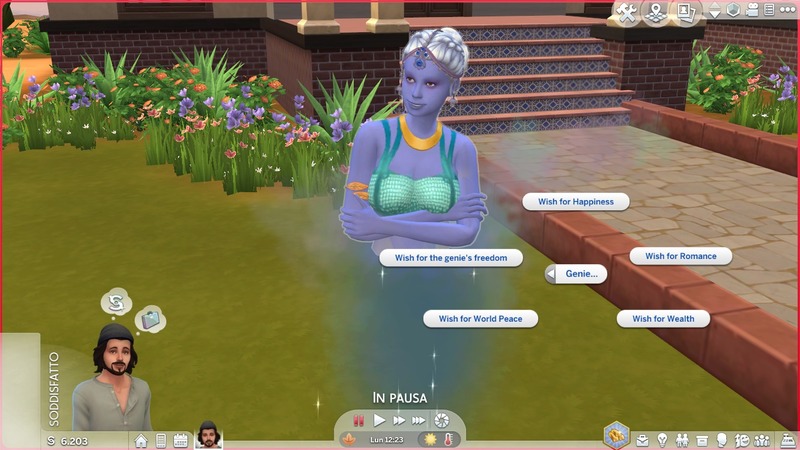 When clicking on other sims, the genie will have the ability to clean sims. They will clap their hands, and the targeted sim will glow a lil' bit, raising their hygiene need. Also, they'll receive the "Magically Spotlessly Clean" (+4 confident) buff which lasts 3 hours. - When freed, the genie will not perform the animation properly. - The sim might perform the "rubbing" interaction more than 1 time. - The genie might appear with some accessories such as glasses, bracelets or rings. - The genie pie menu might appear on other sims. - Typo in the lamp's description. - Thanks to Merman simmer, who helped me by creating a lamp and a top for the genies. - Thanks to Teanmoon as well. She helped me by giving me the permission to use her hair and her crown models for the genies. - Thanks to SACRIFICIAL, who helped me by injecting the interactions via python.